Regardless of product type, manufacturing typically involves assembling parts or converting raw materials or unfinished goods into finished products. 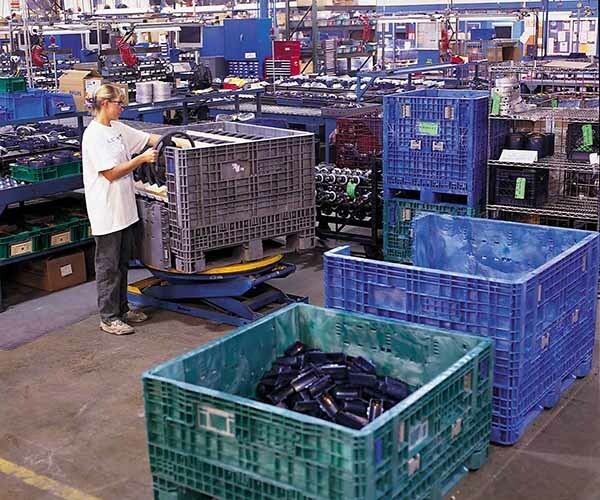 Reusable transport packaging materials perform well in many steps of the manufacturing process. 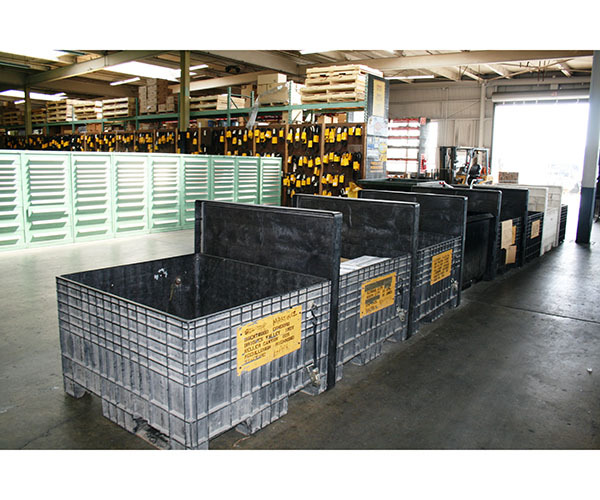 For example, raw materials and unfinished goods are commonly stored and transported between manufacturing operations in Reusables, including reusable bulk containers, pallets, pallet wraps, dunnage and handheld totes. Where recurring, closed-loop deliveries from or to outside vendors are part of the manufacturing process, Reusables are frequently shared, saving packaging expenses and labor costs for both entities. Larger and/or more complex operations may benefit from the services of third party pooling companies who lease and manage reusable packaging materials, including container tracking, cleaning and maintenance. Reusable transport packaging can also have special features to address specific manufacturing needs, such as anti-static properties for the shipment of electronics, fire protection for chemicals, or RFID for tracking. Click here for more success stories from the manufacturing industry.